Place and date: Wilderness, VA, 5 May 1864. Born: 11 Feb 1841, Canada. Died: 29 Mar 1918, Bennington. Date of Issue: 4 Jan 1895. Photograph Contributed by George Parsons. NARA File Number: R&P 402755. 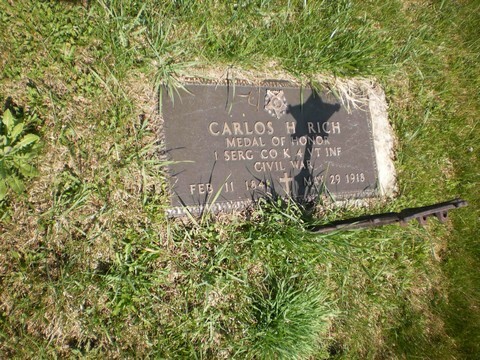 Charles H. Rich, who died at his home in Roxbury May 28, was a veteran of the Civil war, who participated in most of the big battles recorded. He enlisted as a private in 1861, was mustered out five months later, re-enlisted, was wounded and honorably discharged, re-enlisted and fought until mustered out July 13, 1865. During the battle of the Wilderness, though himself wounded, he crept between the lines and rescued from death two wounded officers. 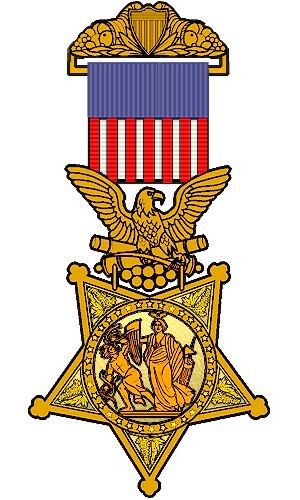 For this act, he received a medal of honor. 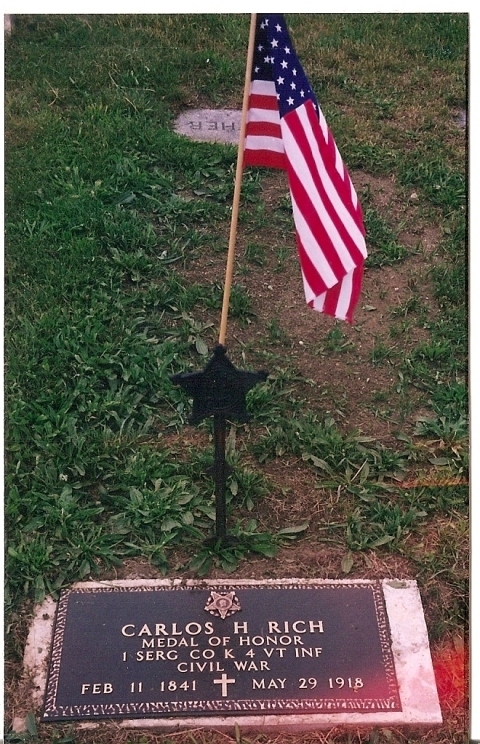 After the war, he returned to Roxbury, married and lived there until he went to the Soldiers' home in Bennington, in 1909, where he stayed until a short time before his death. Mr. Rich was a member of Brooks post, Montpelier.